The Golden Tenmoku artwork delivers the positive power of tranquility and peace. 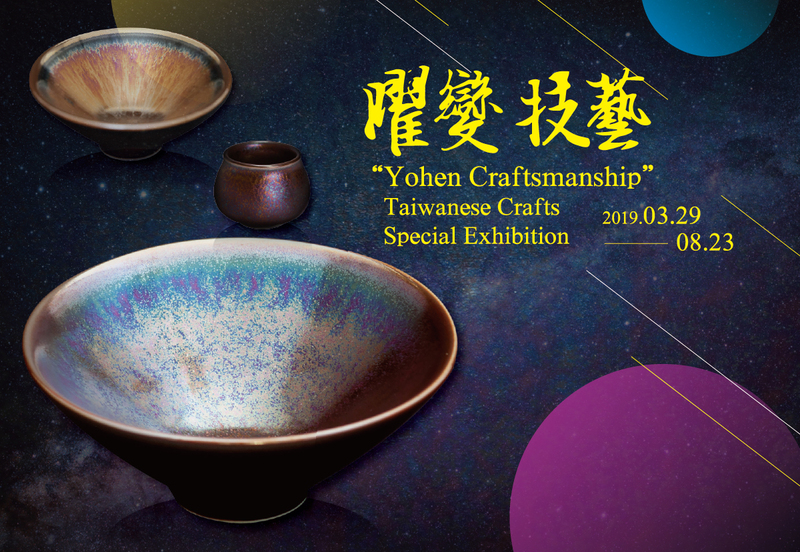 A small piece of a golden Yohen teacup is shaped like a bamboo hat and diffuses multiple colors and patterns with a dazzling gleam like a star entering the sky. It also represents the idea that 'crafts act as the carrier of culture' and shows the importance of tea tasting in Taiwan. Ever Rich is holding the 'Yohen Craftsmanship' exhibition and uses the main display, 'Yohen', to represent the many outstanding artists and their numerous creations.